1Biology and Geology Dept., Faculty of Education, Ain Shams University, Cairo, Egypt. 2Marine Science Dept., Faculty of Science, Suez Canal University, Ismailia, Egypt. 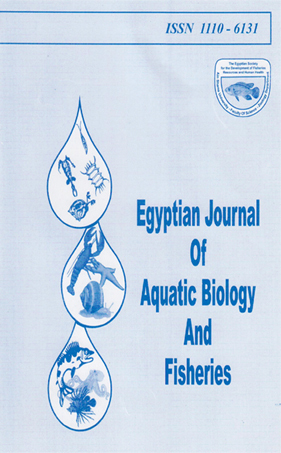 Stomach contents of 161 specimens of Callinectes sapidus(Crustacea: Decapoda: Portunidae)from Bardawil Lagoon were examined from November 2016 to July 2017. The percentage point (% P) and percentage frequency of occurrence (% F) methods were used for stomach contents analysis. Out of the 161 individuals 75 (46.58 %) had empty stomach. Mollusca, Crustacea and Pisces dominated the diet of this species. According to points method Mollusca, Crustacea and Pisces scored 44.83%, 18.1% and 16.24% points in malesand 47.2%, 21.62% and 11.03% points in females, respectively. Consumed tissues of other benthic invertebrates were also present in verylow ratios, while algal fragments were occurred in low quantitiesin few stomachs. Sediments were also detected in considerable ratios. Results of the present study suggest that the blue crab C. sapidusis a carnivore. The remarkable seasonal fluctuations in the diet composition and stomach fullness of this species during the present studywere detected For understanding the mechanism of feeding, gastric mill structure was morphologically investigated and all its seven articulated ossicles were examined and photographically illustrated.